Welcome to DAY SEVENTEEN of the Handmade Marathon. 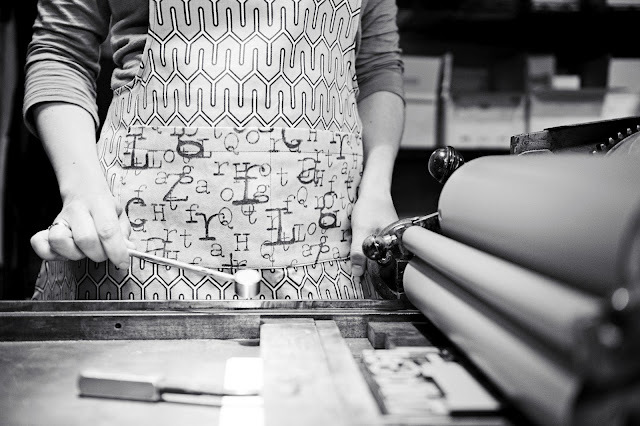 Letterpress, letterpress, letterpress! I adore beautiful cards, paper things & sending pretty mail. I'm always looking for the perfect special card to send to someone to brighten their day. You might find just the right one here at The Permanent Collection Letterpress + Design Studio. 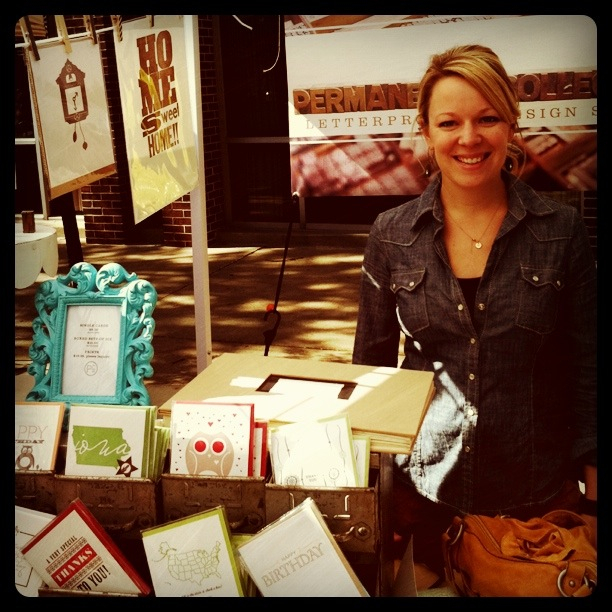 The Permanent Collection Letterpress + Design Studio is located in Des Moines, Iowa, and was established in 2007 by Sarah McCoy. It is a full service letterpress & design studio for graphic design, custom work, identity, branding, business cards, postcards, social stationery, greeting cards, broadsides, posters, birth announcements, and wedding invitations. In this day and age of digital dominance, there has been a marked response to The Permanent Collection’s classic, hand-inked, hand-cranked letterpress creations. 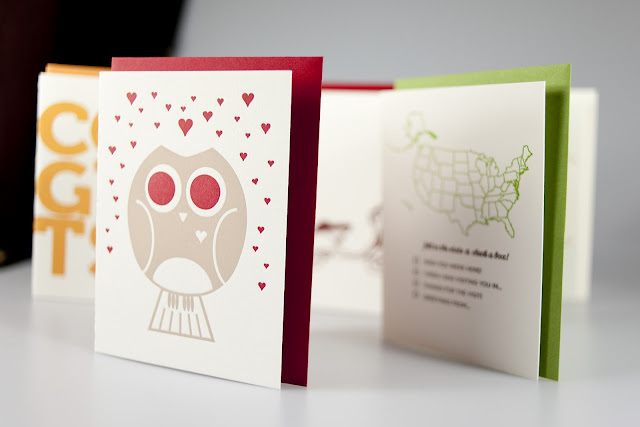 "I was hooked on letterpress after the first hand-crank at a press in 2001 at The University of Iowa Center for the Book. After more than a decade of letterpress printing, I continue to desire printing and designing meaningful solutions, unique visuals and gorgeous typography to all kinds of graphic communication. The joy and delight this brings to clients, friends, and family alike gives satisfaction daily. I like to think The Permanent Collection has a “permanent” place in the celebrations and marked moments in our clients’ lives". 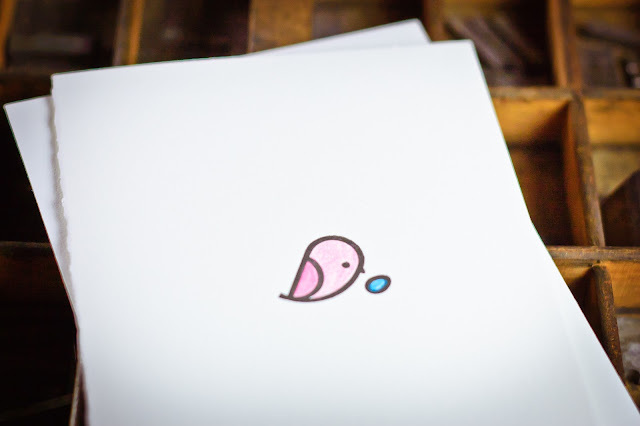 Cards and prints are unique, hand-fed, hand-printed on an antique printing press each containing their own unique inking, making each print truly an original. Sarah’s work is found in small boutique shops throughout United States, Europe and the United Kingdom. Her work has been featured in several publications, most recently 1,000 More Greetings: Creative Correspondence for All Occasions (1000 Series), Rockport Publications and exhibitions in galleries and Universities in cities such as, Portland, Minneapolis, Asheville, New Haven, and internationally. Her artist books are part of several University Libraries, such as Yale, Wesleyan, UC at Santa Barbara Davidson and The University of California Irvine Library. She has presented her letterpress research both nationally and internationally most notable at ATYPI’s (Association Typographique Internationale) annual conference in Brighton, England entitled, “Typographic Form and the Permanence of Letterpress Type” and in an essay entitled: “Analogue Aesthetics.” “The Means by Which We Find Our Way: Observations on Design,” Waikato Institute of Technology in Hamilton, New Zealand, 2008. She continues to print in her home studio with her husband Andy, two young daughters (Charlotte + Gemma) and cat Lucy (with some family members contributing more than others). 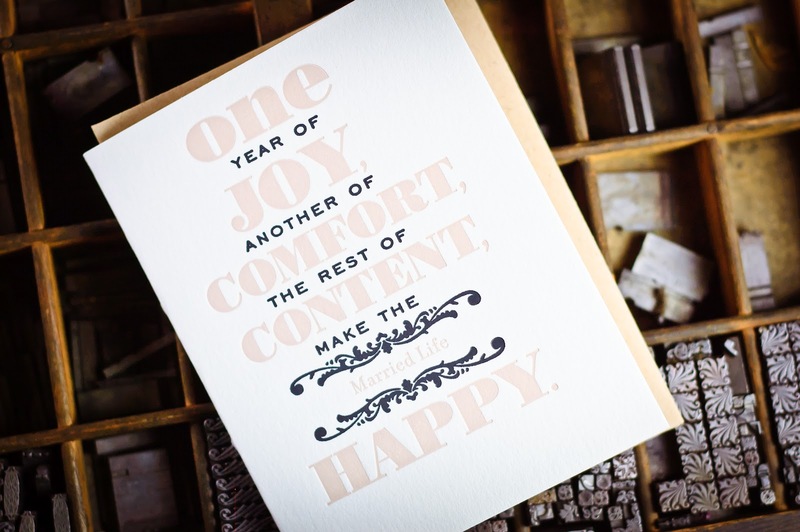 Oh yes, letterpress! There's something really special about touching a letterpressed card. It makes me want to run my fingers over the design over and over again. Gorgeous! One of the hottest trends in stationery, and it has been around for hundreds and hundreds of years. I personally love this technique.